Andy grew up in High Point, NC. He obtained a Bachelors of Arts in History from the University of North Carolina. He went on to obtain his Juris Doctorate at Wake Forest. Andy started his legal career in Asheville, NC. In 2004 he relocated to Charlotte, North Carolina to join Clawson and Staubes. Andy's first bar admission was in North Carolina. In 2007 he became licensed in South Carolina. He is also admitted to the Bar Associations of the United States District Court for all Districts of North Carolina, the United States District Court for South Carolina, the United States Court of Appeals for the Fourth Circuit and the Eastern Band of Cherokee Indians. 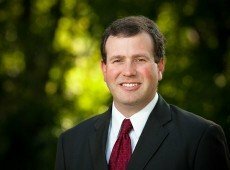 Andy has tried cases throughout North Carolina and South Carolina in state, federal and tribal courts. He has also appeared before the United States Court of Appeals for the Fourth Circuit, the North Carolina Supreme Court, and the North Carolina Court of Appeals. Andy has a truly varied legal practice with a wide variety of experience. Andy lives in the Charlotte area with his wife, two children and numerous rescue animals. He enjoys sports, hiking, camping and history and is on the Board of Directors of Carolina Waterfowl Rescue.